How gorgeous was Saturday?! Elise & Sean got married at District 28 and had a rocking party to boot! Congratulations you lovely wonderful happy sweethearts!!! Here they are, right after their first look. Every time they looked at each other they'd smile so hard they just burst out laughing. Many congratulations to you, Sean & Elise! 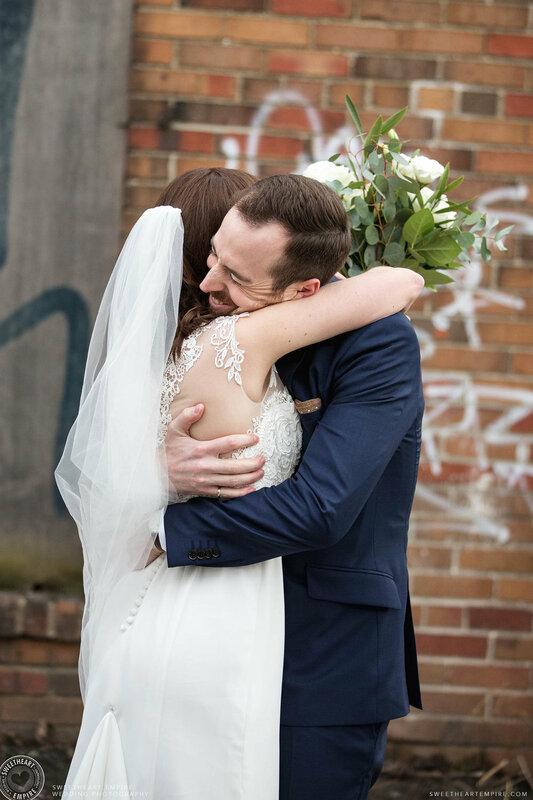 Click here to see Elise & Sean's Leslieville engagement photos!